Action from last year's Thorney 10k. 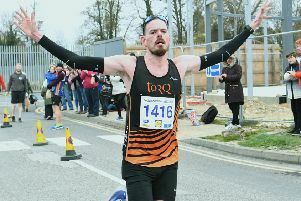 The popular Thorney 10k road race is coming up later this month. The big Thorney Running Club event, which also incorporates a 3k Fun Run, is on Sunday March 26 starting at 10.30am. The Fun Run starts at 9.30am. Entries will be taken on the day.